In my second season review for 2018, it’s time to look at M-Sport. 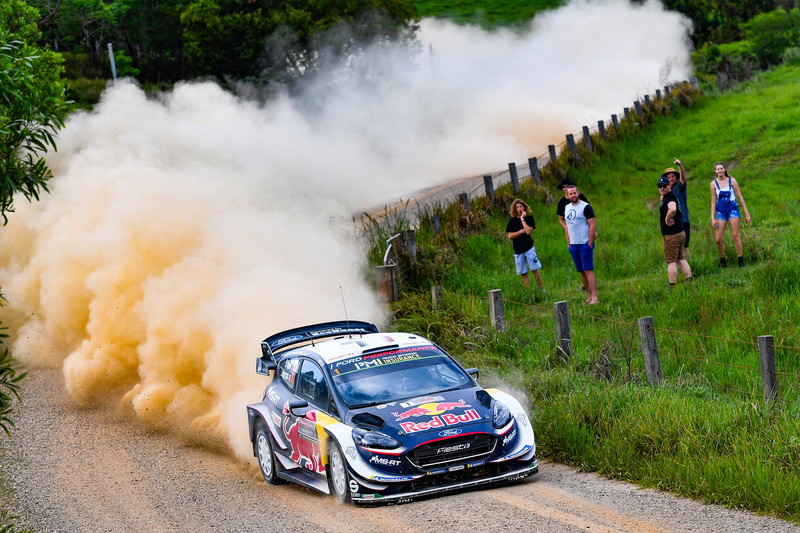 It was a successful year, with victories that allowed the French duo to win the Drivers crown for the sixth time, whilst Elfyn Evans/Dan Barritt and Teemu Suninen played their part for the team. They scored some good results as well. The championship started well, with victory for Seb and Julien in Monte Carlo. Elfyn suffered a puncture on day one, but fought back with some very quick times including two stage victories on Saturday to finish in sixth overall. Former winner Bryan Bouffier made his Fiesta WRC debut as well, and drove to an excellent eighth place for the team. 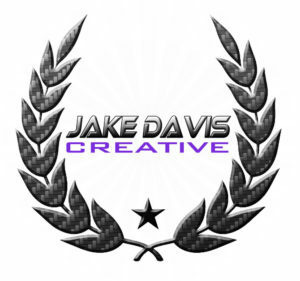 Sweden followed, and it was a much tougher event for the team. There had been massive snowfall in the weeks before. Seb and Julien would be leading the cars on day one, and they would be doing their best to stay on the road, but keep the time loss down as well. Teemu was the top placed driver in sixth place at the end of day one, after Elfyn got a puncture and completed day down the field, but it was Seb who struggled the most, sweeping the stages clear like a snow plough. After Saturday, Teemu had dropped a couple of places to more experienced drivers, and was in eighth place and Seb had moved into tenth place. The positions were pretty much the same at the end, with Elfyn climbing into fourteenth position at the end. Mexico was next up. Seb would use his better road position to complete day one in fifth overall, which by the end of day two, he had taken the lead by over 30 seconds. His lead at the end was a full minute. Meanwhile, Elfyn went well, just 15 seconds from the lead at the end of stage three, before a high-speed roll that didn’t damage the car as much as you’d think in stage four put him and Dan out of the event. The reason- concussion. Teemu would also go well, before damaging his suspension, leading to loss of control of the car and retirement for the day. He would come through, gaining more experience, finishing in twelfth. Seb had retaken the lead of the championship from Thierry as well, with a four-point lead over the Belgian. The iconic Tour de Corse followed, and with Dan Barritt still ruled out over safety, with his concussion, Phil Mills, stepped into the number two Fiesta alongside Elfyn, whilst Bryan Bouffier was driving a third Fiesta. Seb and Julien showed their class, leading the whole event and winning, whilst Elfyn and Phil drove brilliantly having had just the six runs in shakedown, to perfect their partnership for this event, clinching fifth overall. Bryan had an engine issue, causing him to retire from the event on the Saturday. Argentina followed, and Dan was back alongside Elfyn, whilst Teemu returned to the third Fiesta, making his first start in this event. After day one, Seb was in fifth place, whilst Elfyn and Teemu rounded out the top ten. After Saturday’s stages, all had moved up a few places. Elfyn in particular went particularly well, finishing in sixth overall, whilst Teemu gained one place. That’s how they finished as well at the end of the rally, and despite doing well, Elfyn was not that happy. The gap between Seb and Thierry ten points and Ott was just twenty-eight points. Portugal was next up, and with Seb making a mistake on day one, the team looked to their younger drivers. They drove brilliantly, Elfyn finishing day one in second place and Teemu in fourth. Elfyn continued to drive well on Saturday, winning two stages and consolidating his second position. In the other Fiesta, Teemu continued a strong drive and was just a few seconds behind third place. 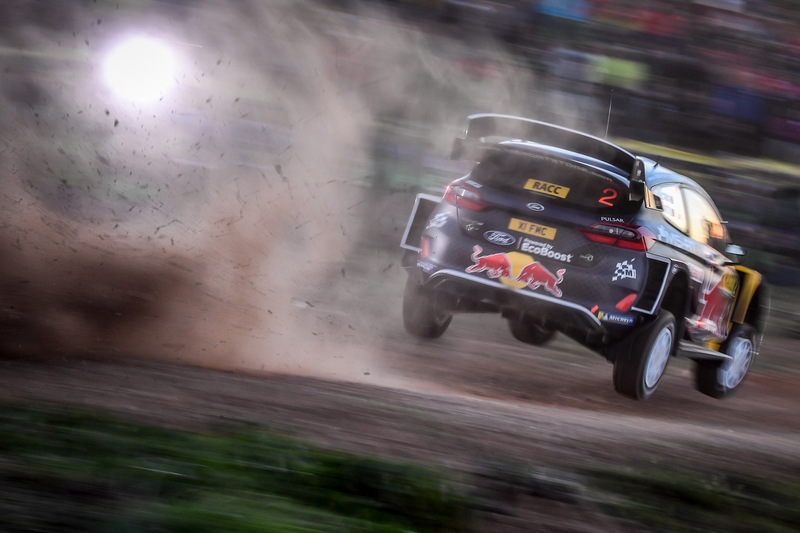 On the final day, both Elfyn and Teemu drove well, clinching a double podium. 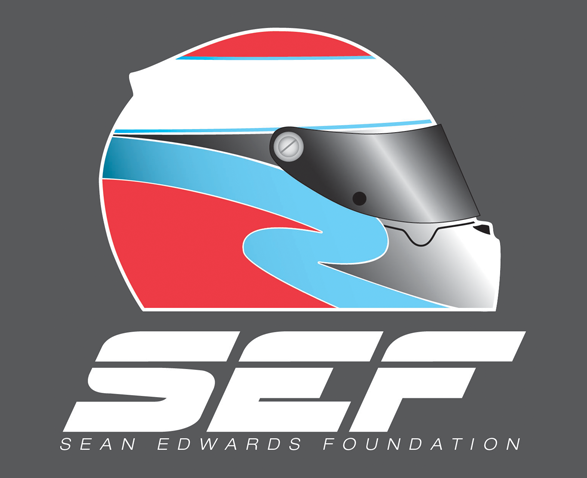 With Seb retiring from the event on the Sunday, after the team decided to retire the car, given that they were not likely to score any points, he fell behind Thierry in their battle for the world championship. 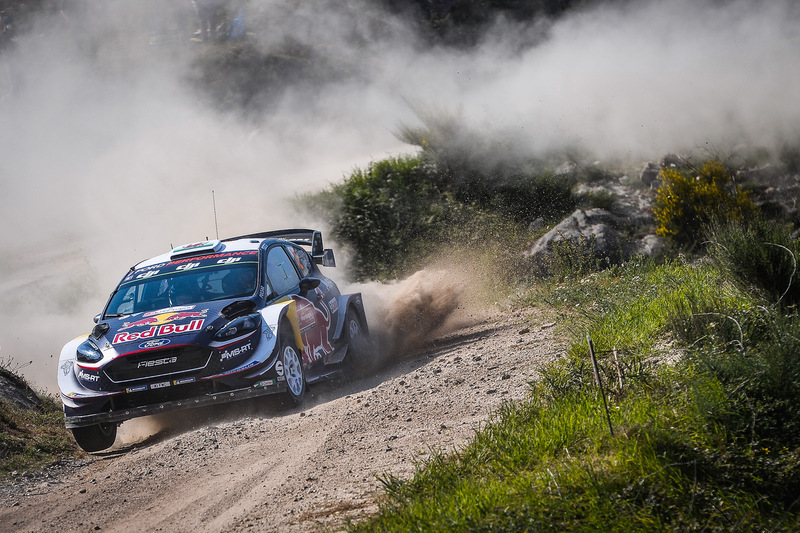 Elfyn and Dan drove to a first podium of 2018 in Portugal. Photo credit, M-Sport. 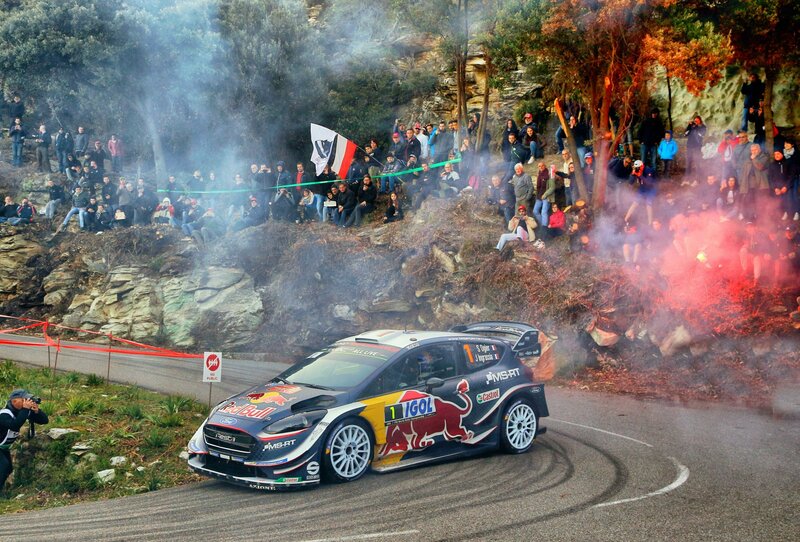 Next up, was the very tricky Rally Italia Sardegna and the team comprised of Seb, Elfyn and Teemu. Seb would be looking to use the advantage of not opening the road on Friday as the title fight continued between him and Thierry. Elfyn and Teemu would also be hoping for a good result after their podium. After day one, Seb incredibly held the lead, but sadly there was disappointments elsewhere in the team. Teemu finished the day way down after a spin, whilst Elfyn broke a part in his steering, and after fixing it in the stage, was fifteen minutes from the lead. Day two saw the battle between Thierry and Seb intensify, with the Hyundai driver closing the gap. Meanwhile, Teemu and Elfyn continued their climb up the leaderboard. The final day saw Seb and Thierry complete their fight over the win, with the Frenchman just missing out on the victory by just seven tenths of a second. Teemu scored a point for tenth, whilst Elfyn was fourteenth. Super-fast Finland followed the summer break, and with just six rallies left, would be an important event. 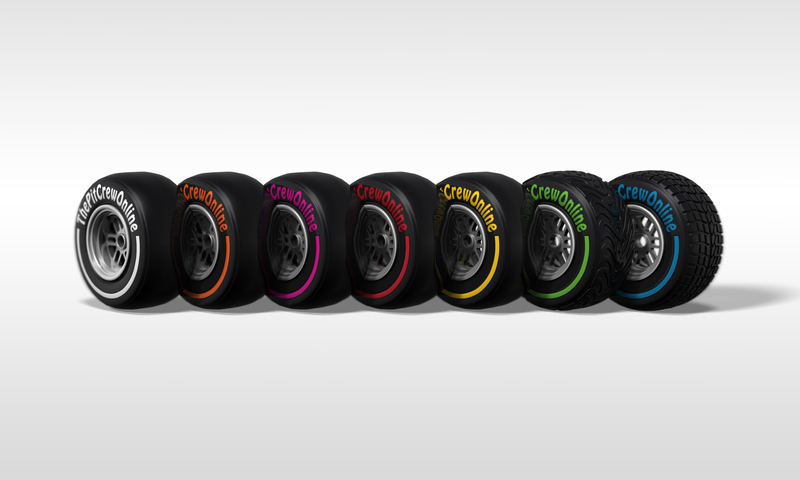 The team had brought some aero updates to their car, but only enough for one, which were fitted to Seb’s car. Despite this, the best placed car was piloted by Teemu ending day one in fifth place and making the most of his road position, whilst Seb was sixth and Elfyn seventh. On day two, team orders came into play, with Elfyn giving up his position to Seb, whilst Teemu continued to be the top placed car in sixth with his teammates seventh and eighth. When the event finished on Sunday, there had been further team orders, which meant that Seb was the top placed of the three drivers in fifth after Teemu took a 20 second penalty. Teemu ultimately finished in sixth, with Elfyn in seventh. Onto Germany next, an event of three different types of tarmac. Teemu would be making his top-level debut as well. After day one, the team were well placed with Seb in second overall, Elfyn driving really well in fourth, just 10 seconds from third and Teemu in tenth. It was all change on Saturday, when Elfyn ran wide and hit a concrete block hidden in undergrowth, damaging his suspension and putting him out for the day. Meantime, Seb also suffered a blow in his fight for the win, getting a puncture, which they changed mid stage. Teemu came through unscathed, finishing the day in eighth, with Seb now just one place ahead in seventh. The final day saw the true pace of Seb and Julien, who climbed back up into fourth place pretty quickly, limiting the number of points that they conceded to their rivals, Ott and Thierry who finished were first and second respectively. Teemu finished his first tarmac rally in a top spec car, fifth overall, whilst Elfyn came home in twenty-fifth after re-joining under Rally2 regs. 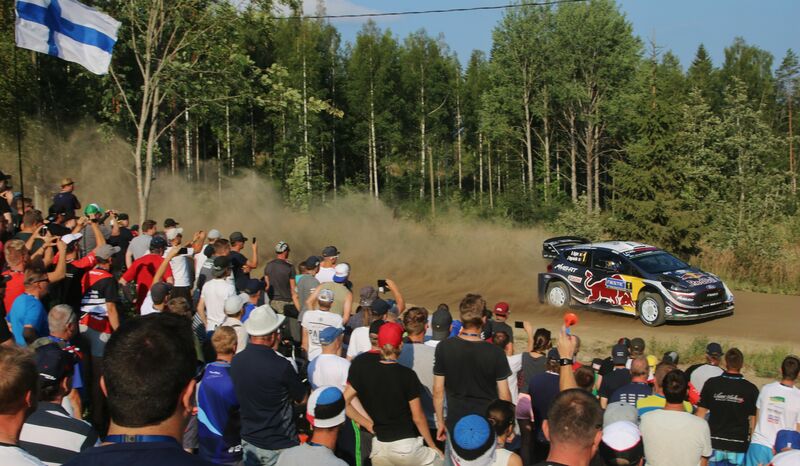 Seb and Julien drove to fifth in Finland after Elfyn and Teemu took time penalties for the team leader. Photo credit, M-Sport. The next event was Rally Turkey, a completely new event. On day one, Seb come through after some tough stages, to be second overall, with Teemu in ninth. Elfyn continued to suffer some terrible luck, with intercom problems, followed by problems with his differential, which was replaced in service and then a puncture. However, that wasn’t the worst of it, when he suffered broken suspension, putting him out in the days penultimate stage. After day two, when Seb set some great times, but also suffered massive disappointment, he won two stages, but also damaged his suspension which needed changing in service. He then slid off the road in the first afternoon stage. Meantime, Teemu was going really well, finishing the day in fourth overall, whilst Elfyn showed what could have been possible, climbing up the leaderboard, into seventh, after a string of quick times, including three second fastest times in the afternoon stages. The final day, saw Teemu come through in fourth, whilst Elfyn clocked in five minutes early in the penultimate stage, thus getting a five-minute penalty and dropping to twelfth, giving Seb tenth place and the final point. Teemu and Mikko drove to a deserved fourth place in the incredibly tough Turkish round. Photo credit, M-Sport. Wales Rally was next, as we came down to the final three events of the year. Sadly, last years winner would suffer some unreliability from the normally bullet-proof engine, getting a misfire on the road section, whilst just a few seconds from the lead. Teemu also retired from the days action after going off the road. Seb meantime was sitting in fifth place, with both his championship rivals ahead. By the end of Saturday, Seb had taken the lead after a string of quick times. Meanwhile, Elfyn, having re-joined under Rally2 regs, climbed up the field and completed the day in twenty fourth place. Teemu didn’t restart, as his car was too damaged to fix. Seb completed Sunday and took victory, his first since Tour de Corse. There was no fairy-tale result for Elfyn, one year on from his victory, and he finished in twentieth place. Rally Spain saw the team field three cars again. After day one, Elfyn was the top runner in third after a string of top times, whilst Seb was doing what he could, and guided his Fiesta to seventh. Further back, Teemu was learning, and held eleventh. A string of quick times through Saturday, saw Seb climb up to second overall, with Elfyn also doing well, completing the day in fourth. Teemu remained in eleventh, as he continued to learn the stages, particularly given the rain that fell so heavily! On Sunday, everything came together, and after some great driving the team scored a brilliant double podium, with Seb taking second place and Elfyn third, his first podium since Portugal. Teemu finished in eleventh, as he continued to learn. Seb was now back in the lead of the championship. A few weeks later, it was time for the title decider, down under. Three drivers went to Australia, determined to take the championship. After day one, which had seen Seb’s main rival, Thierry run wide and lose time, there was a bit of shuffling around with Elfyn and Teemu dropping behind Seb as they completed the day in seventh, eighth and ninth. After a number of very fast times throughout Saturday, Seb and Elfyn both moved up to sixth and seventh, whilst Teemu was learning still, he set some good times in the afternoon. 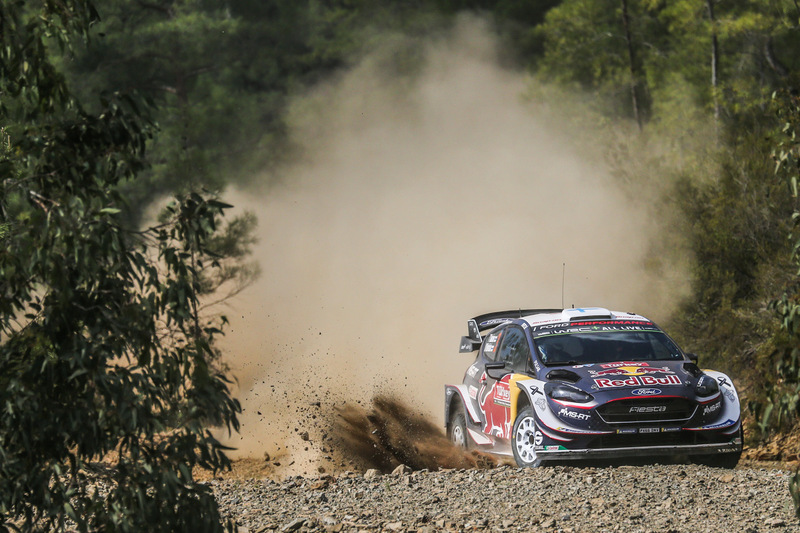 On the final day, both of Seb’s rivals crashed out of the rally, leaving him to bring his car home in fifth place, one place ahead of Elfyn who had played the long game. Seb and Julien had won their sixth world championship in a row and the second ever for M-Sport, in their final drive for the team. Teemu had learnt loads this year and Elfyn had secured some great results and also done his part, with helping Seb win the championship. The team had taken third place in the Manufacturers championship as well. Elfyn Evans who would make a good team leader now I believe, Teemu Suninen, who is one of the young hot shots and perhaps we’ll see someone else coming up from WRC2, like Gus Greensmith who tested a Fiesta WRC in Poland recently.